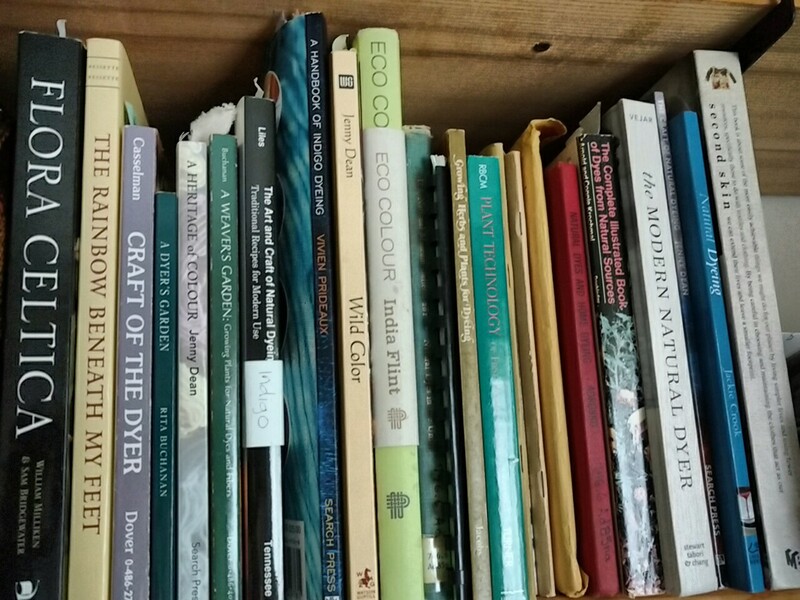 About a third of the books in the sale are fiber arts related. 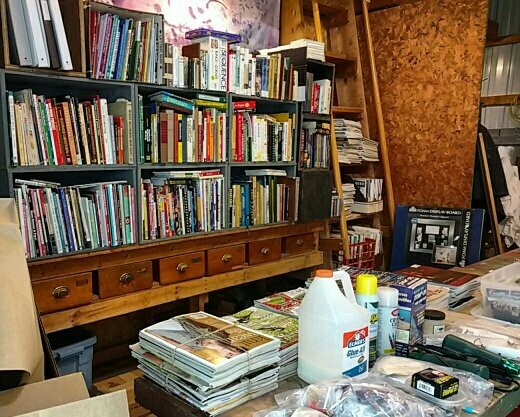 We also thinned out Bill’s woodworking library, books on canoeing, camping and fishing, cookbooks and more, plus lots of quilting, knitting and woodworking magazines. By my count, in the last 20 years Bill and I have helped with nine moves for his or my parents. And we did one of our own. Even though that was just from the old farmhouse into the house we built on the same property, we moved stuff we have not used since. So we don’t need it. It hasn’t been hard at all to say, “We don’t need eight large canoe camping drybags,” or even to pare down to one box of Christmas ornaments. But books have been hard for me to give up. Books represent inspiration and possibilities. So I didn’t expect thinning the library to feel so good. But it does. Because now that it’s less crowded, it’s easier to put my hands on exactly what I was looking for. I had help! A local quilting guild is getting some books and magazines, and what was left went to the library yesterday for the Friends of the Library book sale.